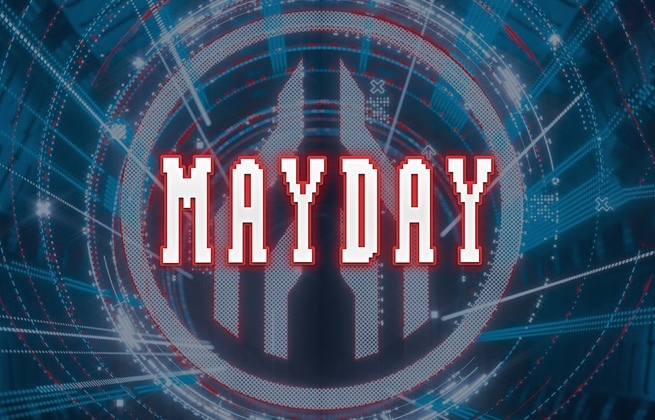 This ticket allows standard access to MAYDAY Dortmund 2019. This ticket includes a free travel part for the local transportation network VRR from 30th April until 1st May. Lineup: Tiësto, Chris Liebing, Lost Frequencies, Len Faki, Boys Noise, Neelix, Markus Schulz & many more! The A&O Dortmund Hauptbahnhof first opened in April 2011 and features 105 simply furnished, modern guest rooms and dormitories. The hostel also boasts a lobby bar, a games room with table football & billiards, and an internet terminal. A breakfast buffet and a range of evening meals are also served each day. Other available amenities include: a 24-hour front desk, a tour desk, an on-site ATM/cash machine, packed lunches, and luggage storage. Bicycles are also available to be rented. The A&O Dortmund Hauptbahnhof is a 3-minute walk from Dortmund Central Station and the Konzerthaus Dortmund concert hall. Westenhellweg, the city's main shopping street, can be reached in 10 minutes on foot. The Westefalenstadion Football Stadium (Signal Iduna Park) is also easily accessible via train. In a central and peaceful location in the heart of Dortmund, the 3-star Mercure Hotel Dortmund City features 82 modern and soundproofed guest rooms that feature amenities including functional work desks. The hotel also features a lobby bar that serves original Dortmund beer and fine Grand Vin wines, as well as the sumptuous breakfast buffet that is available each day. Other hotel amenities include: a sauna and solarium, Wi-Fi internet access, and public indoor parking. 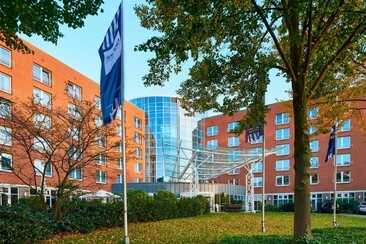 The Mercure Hotel Dortmund City is a 5-minute walk from Dortmund's main train station, and the Kampstraße U-Bahn station and airport shuttle stop is only a 1-minute walk from the hotel. The Westfalenhallen stadium and exhibition centre is a short and direct U-Bahn ride away. 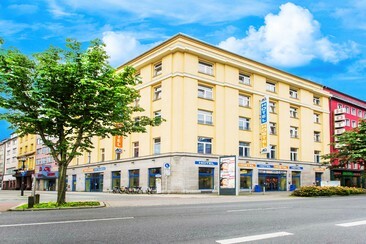 A 5-minute walk from the Westfalenhallen Dortmund exhibition centre, this modern business hotel is an 8-minute walk from Kreuzstrasse railway station. The localisation is ideal to discover the city. The air-conditioned rooms of Dorint An den Westfalenhallen Dortmund include satellite TV, a minibar and tea/coffee-making facilities. Wi-Fi internet is also available. Hotel's spa area has a sauna, hot tub, and a modern gym. A variety of massages and beauty treatments can be booked. Regional and international cuisine is served in the Davidis restaurant. Drinks are available in the Overbeck bar throughout the day. 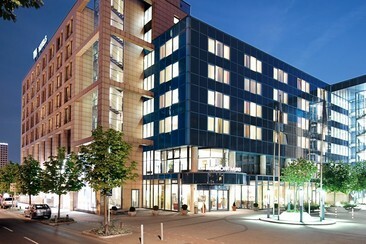 The NH Dortmund hotel, the only 4-star suite hotel is located right in the heart of Dortmund, one of the most important towns of Germany's industrial "Ruhrgebiet" area. The hotel has free Wi-Fi throughout. Smoking and non-smoking rooms are available. Within 7 minutes by metro, you will find many business offices, the "Westfalen Halle" multipurpose hall for trade fairs, congresses, events and concerts, and even the "BVB" football stadium. Take a leisurely stroll just 1 minute from the NH Dortmund hotel over to the pedestrian zone, filled with quaint shops, restaurants, and bars. Or take a sight-seeing tour of nearby breweries. The 4-star Steigenberger Hotel Dortmund is located between the city centre and Westfalenpark, and offers modern comfort coupled with easy-going Westphalian hospitality. Enjoy the regional and Westphalian specialities in the restaurant as well as International cuisine or enjoy a drink at the American ambience bar. The hotel also has a summer terrace where guests can enjoy a variety of different coffees or a Dortmund beer. Guests also have access to the fitness and sauna area equipped with a steam bath. The Steigenberger is close to the largest football stadium (Signal-Iduna-Park) and there are good transportation access to all parts of Essen and North Rhine-Westphalia. Connections to the A1, A2, A44 and A45 motorways are easily accessible and parking is available at a charge.